U.S. Representative Tulsi Gabbard of Hawaii bought litecoin and ether late last year, a recently-published financial disclosure shows. 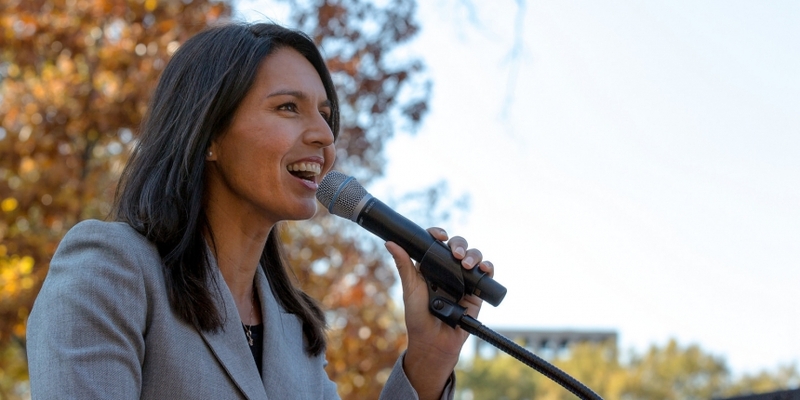 In a Financial Disclosure Report filed on August 14, Gabbard revealed that she bought more than $1,000 in ethereum and litecoin last December. The specific amounts of each token that she bought were not disclosed, though the form noted that her holdings for each are between $1,001 and $15,000 under the “Assets and ‘Unearned’ Income” category. Both ethereum and litecoin also appeared under the “Transactions” category, confirming that she bought the tokens on Dec. 12, 2017. Ethereum’s price reached a high of $659 and a low of $526 on that day, according to data from CoinMarketCap. At press time, it was trading at roughly $278. Similarly, litecoin traded at a low of $230 and a high of $339 on that day, while trading at $55 as of press time. Gabbard’s disclosure noted that she did not make capital gains greater than $200 on either token. She joins Virginia Representative Robert Goodlatte in owning cryptocurrencies, who revealed in a similar filing that he had bought bitcoin, bitcoin cash and ethereum. In his filing, Goodlatte stated that he bought between $1,001 and $15,000 in bitcoin cash and ethereum, and more than $15,000 in bitcoin. Goodlatte declared no income from his cryptocurrency holdings. A request for comment to Gabbard’s office was not immediately returned.